VoIP can be a great option for many businesses, big and small. But not everyone understands what it is and how it works. Here is a beginner’s guide to VoIP. VoIP or Voice over Internet Protocol is a term used for making voice calls over the internet. Voice data is converted into digital packages and sent out via the internet, as with emails. VoIP calls can be between VoIP users, with a landline or a mobile phone. In the case of a landline or a mobile, the VoIP call is ‘converted’ along the way and so ends up as a ‘traditional’ phone call. 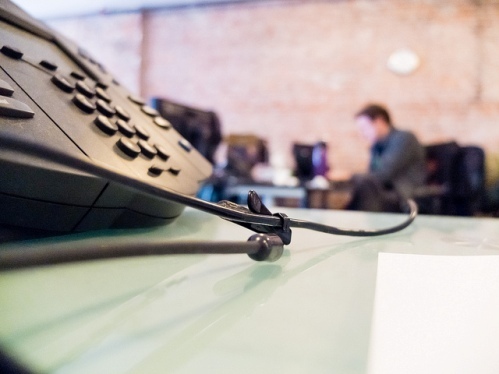 Along with a whole host of benefits of IP telephony (the collective term for VoIP services), the facility also allows for the use of a range of features that you would typically associate with a traditional business phone system. This includes call transfer, forwarding and hold, call conferencing, mobile office plus many more. Why choose VoIP over a traditional phone system? You need an internet connection that has the capacity to takes data and phone calls. MF Communications can test this for you before placing an order. If your connection is not suitable we can find an alternative solution for your business. Find out more about VoIP on our website or contact us on 01892 514687 for a quote and to see if it is a suitable option for you.